In 1814 Emma Hart Willard opened a school for girls in her home in Middlebury, Vermont. Initially similar to other New England girls’ schools in the early republic, Willard’s school quickly took on a different role, thanks to the vision of its founder. As she sought support for her belief that girls should be as highly educated as boys, Willard moved her school from Vermont to New York, settling in Troy in 1821. There it has remained; two centuries after her initial experiment in Middlebury, the school that bears her name is a thriving enterprise, a leader in innovative education for girls world-wide, and an ongoing testament to the strength and courage of its founder. Surprisingly, the story of this historic school has never been fully told. Here for the first time is a comprehensive narrative of the school’s triumphs and trials interwoven throughout two hundred years of American social, cultural, and political history. The annals of Emma Willard provide important insights into the study of women’s history, educational history, and American history in general. Sometimes buoyed and occasionally buffeted by the winds of change, the school has persevered, often leading the way for other institutions to follow. From the beginning curricular distinction, pedagogical innovation, and intentional teacher training underpinned the school’s reputation for academic and intellectual rigor. This, coupled with an early commitment to a student body that was drawn from a wide variety of backgrounds, meant that legions of women left the school confident of their ability to change their worlds, in whatever spheres they operated. Over time the school’s alumnae have influenced the arts, science, politics, philanthropy, literature, business, and education. 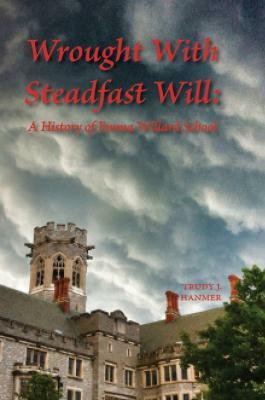 The story of the institution that evolved into Emma Willard School is the story of their lives, and it is the story of the lives of faculty, trustees, and administrators. The impact that these individuals have had on the school’s development, both individually and collectively has, in return, been matched by the identity that they have assumed as heirs to Emma Hart Willard’s timeless vision. The saga of Emma Willard is more than an institutional history; it is a critical chapter in American history.